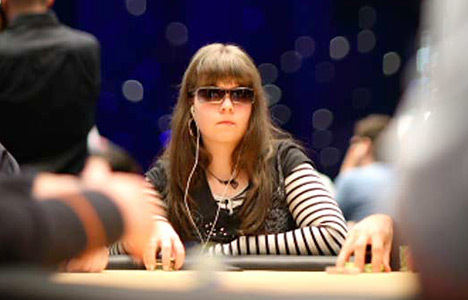 Annette "Annette_15" Obrestad is still just a teenager, but she is already one of the most popular poker players in the world. Obrestad was born in Norway on September 18th, 1988. Growing up in Norway, bowling was the game of choice for "Annette_15". She spent six years bowling "fairly seriously" before eventually giving up the game in favor of poker. She was actually watching a bowling tournament on television when a commercial for an online poker room flashed on the screen. Bowling had started to lose its appeal for Annette, so she soon traded in her bowling shoes for an account at Ultimatebet. Annette was 15 years old when she started playing online, hence the alias "Annette_15". She wanted to play for real money, so she asked her Mom to deposit some money into her account, using her Mom's credit card. Annette's Mom refused, saying that she was too young, so Annette was forced to grind freerolls to try and develop a bankroll. She soon won $9 playing a freeroll on Ultimatebet and had the beginnings of her online bankroll. Annette claims to have never deposited money into an online poker room - instead, she built up her entire bankroll from nothing, starting with freerolls. 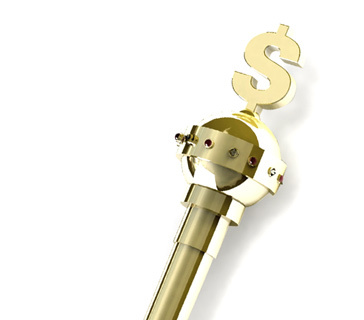 Over time, Annette was able to build up a five figure bankroll. It was when she started putting in serious time on Pokerstars that she started to get noticed. 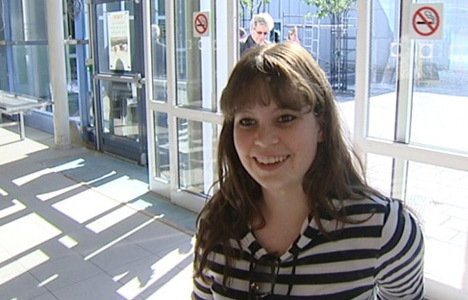 She quickly moved up in the online tournament scene, and was soon playing the biggest tournaments online. "Annette_15" was starting to attract a large following, and the rail was often full when she would play online. Her first big splash came in the 2006 WCOOP Main Event on Pokerstars. She ended up making the final table, going out in 7th place for $163k. Her demise was particularly heart-breaking - she got all of her chips into the middle holding pocket nines, catching the bluff of an opponent who was holding the 6-5 of diamonds. "Annette_15" looked to be in great shape until the flop came 7 4 3, giving her opponent the nut straight and sending Obrestad to the rail. Still, $163k was not bad at all, right? Controversy soon erupted after Annette revealed that it wasn't actually her playing the account during the tournament - she had lent her account to someone else. At the time, the point of contention was that this 7th place finish vaulted Annette up the list of top online players. If she wasn't playing on the account, should the 7th place finish actually count towards her ranking as one of the top online players? This wouldn't be the first time that Annette would stir up some controversy or make waves in the poker world. Far from it. 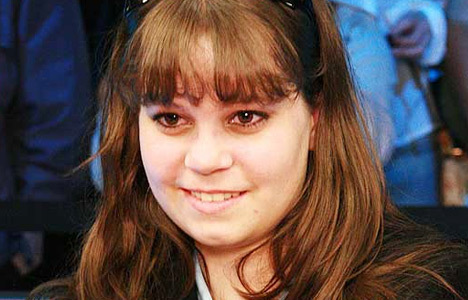 Obrestad was now considered one of the top online players in the world, and she was still only 18 years old. This newfound stardom didn't stop Obrestad from getting into trouble with Pokerstars. In early 2007, Obrestad was suspended by the site for a week for violating their "team play" rules. Here is what happened. "Annette_15" was playing in a rebuy tournament on Pokerstars. The tournament was still in the first hour, and "Annette_15" and another player, "Riverboom", agreed to go all-in on the next hand, no matter what. "Riverboom" advised the other players at the table not to limp, as both players would be pushing all-in regardless. There were multiple players in the hand, and "Annette_15" said that her hand was "no good" while the hand was still being played out. Pokerstars ended up suspending her for a week for violating their rules. The summer of 2007 was nearly over, and Annette "Annette_15" Obrestad was firmly perched atop the list of top online players in the world. The World Series of Poker Europe was hosting its inaugural event in London, England. The main event for the WSOPE had a buy-in of 10k pounds, or around $20,000 USD. Annette was contemplating playing in the tournament, but the high buy-in was giving her second thoughts. She had had some experience playing "live" in underground poker clubs in Norway and at the 2006 Ultimatebet Aruba Poker Classic, but this was to be her biggest poker tournament ever if she decided to enter. She soon made one of the best decisions of her life when she sold 50% of her action in the tournament to Eric Haber and Cliff Josephy, otherwise known as "Sheets" and "Johnnybax". Annette navigated her way through the tournament, outlasting a field that included many of the top poker talents in the world. She used her trademark aggressive play to accumulate chips, and before she knew it, she was heads-up with John Tabatabai at the final table. The heads-up battle lasted for hours. Eventually, Annette was dealt pocket sevens and the flop came 5-6-7. The players got their chips into the middle, and Obrestad was delighted to see the bottom two pair that her opponent flipped over. Tabatabai would need running sixes to stay alive, and didn't get them. 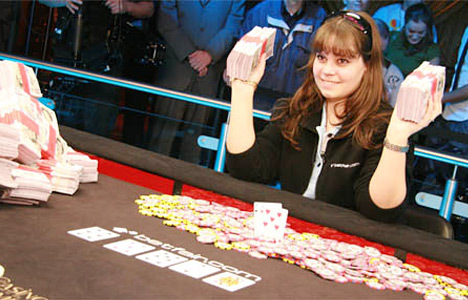 Annette "Annette_15" Obrestad had won the World Series of Poker Europe main event, mere hours after her 19th birthday. 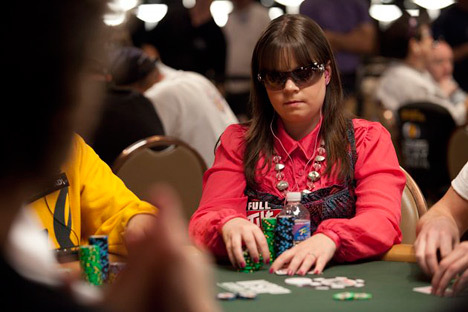 Annette stirred up some more controversy when she made some remarks about the play of Ted Forrest at the WSOPE, both in her blog and in a Cardplayer.com interview. Annette remarked that she wasn't impressed with the play of Forrest, labeling him a "calling station". Some criticized Obrestad for these comments, saying that they were out of line and disrespectful towards a long-established "live" pro. Most felt, however, that online players were constantly being talked down to by "live" pros and that turnabout was fair play. Obrestad was soon making a deep run once again in another major live tournament. Just about a month and a half after her success at the WSOPE, Obrestad was chipleader of the EPT Dublin event heading into the final table. At the final table, Obrestad continued her dominance, knocking out a number of the other participants. When she got to heads-up play with Reuben Peters, Annette had a 5:1 chip lead and seemed to be cruising towards victory. However, the deck suddenly turned cold for Annette, and she was knocked out in second place for $429k after her pocket sevens didn't hold up against the A-10 of Reuben Peters. Annette, though pleased with her $429k cash, was bitterly disappointed with her second place finish, especially after possessing such a large chip lead. Even before her "live" success at the WSOPE and EPT Dublin, Annette had been pursued by a number of the online poker rooms for a sponsorship deal. It's not hard to see why - Annette was a dominant online player who was now starting to see some "live" success. Not only that, but she was female, 19 years old and possessed a massive online fan base. Numerous online poker rooms, including Full Tilt Poker, were vying for her services. Annette ended up signing with Betfair Poker after they offered her a deal that was "substantially" better than the other offers. Since her success at the WSOPE and EPT Dublin, Annette has pursued a lighter schedule, enjoying some of the fruits of her labor. Her most impressive recent accomplishment came when she took down the Sunday Hundred Grand on Pokerstars for $20,000, outlasting a field that included 20,000 participants. I don't care how good you are - finishing first in a tournament with 19,999 other entrants is an impressive feat. Annette has accomplished quite a bit in her relatively short poker career. She once took down a 180 man, $4 Sit and Go on Pokerstars without looking at her hole cards (ok, she apparently peeked during one hand, but still). She did this to demonstrate the importance of position and the concept of playing the players, not the cards. Also, she once won a $5k SNG on Ultimatebet against Phil Hellmuth in just 12 hands. I'm sure that he wasn't too happy about that. Annette is only one of a handful of players in the world that have cashed for a million dollars both online and in "live" play. Considering that Annette "Annette_15" Obrestad is still a teenager - how many lifetime victories and total cashes will she have when the final chapter of her life has been written? For the immensely talented Norwegian, anything seems possible.